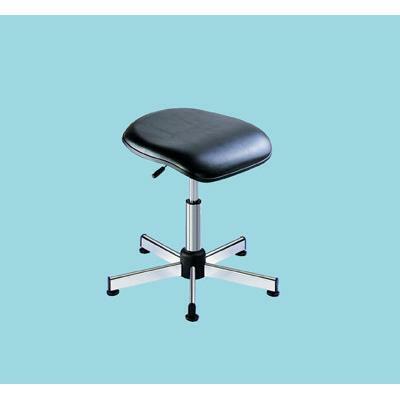 Ergonomical seat design provides a comfortable sitting position that partially positions the body in a standing position with feet on the floor for better body posture when performing jobs sitting down. Vinyl covering is a non-slip surface that protects the seat. Wash with soap and water or wipe with a disinfectant or alcohol. Base is made of chrome.